Zion Canaan Baptist Church was established in 1886 after a group of former slaves recognized the need for a place to worship. Led by the Holy Spirit, Frank and his wife, Phyllis Lawhorn Anderson, donated an acre of land they had purchased in the State Park Community. This community was sparsely populated with little community resources. With the nearest church of their faith being at least ten miles away, the need for a closer place in which to worship pressed hard on the hearts and minds of the Andersons. Soon, they found others who shared their desire for a place close by where their families could assemble for worship, praise, and communion with others in the name of God. 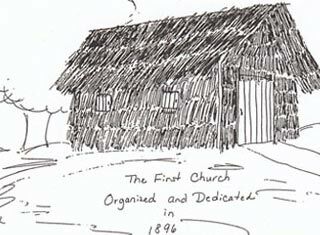 Although most of the community residents were of meager means, they were able to construct the church through their devout belief and faith, much hope, determination and prayer. With a sawdust floor, wooden slab benches and windows, and a door at each end of the building, they began their worship. The baptismal pool was located about three blocks behind the church in a wooded area across the railroad tracks. It was a 4' X 6' wooden structure with steps around a steady stream of spring water. The first pastor was the Rev. Robert E. Saulters, the son-in-law of the Andersons. Services were held every other Sunday, as was the custom when ministers pastored two churches. Brother Frank Anderson was appointed the first Chairman of the Deacon Board, along with Deacons William Fair, William Warren, and Robert "Bob" Mack. Deacon Fair also served as the first Church Clerk. Sister Anderson became the "Mother of the Church" and served well until her death in 1935. The Sunday school was established under the leadership of Rev. Saulters. Deacon Mack was its first superintendent. Mrs. Pearl Anderson became the second superintendent, and Mrs. Minnie Anderson was the Secretary - both daughters-in-law of Deacon Frank and Mrs. Anderson. The first school in the State Park Community began in Zion Canaan Baptist Church as the Zion Canaan School. As time progressed, and the school population grew, it was moved to several other locations in the community. The school's name was later changed in honor of a great pioneer, philanthropist, and Christian leader, Miss Anna Love Boyd. It became the Anna Boyd Child Development Center for many years and is presently an Alternative Middle School. 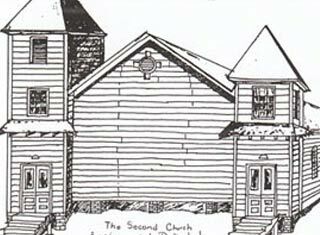 In 1917, Zion Canaan was rebuilt to become a more comfortable wooden frame building under the leadership of its second pastor, Rev. J.W. Williams. Rev. Williams served from 1915-1926. Rev. A.P. 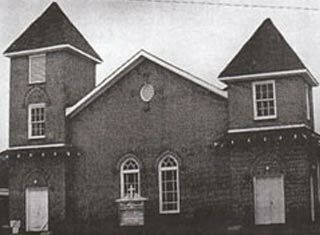 Porter became the third pastor (1927-1941) and a new brick structure was erected in 1932. During his pastorate, the church grew spiritually and in membership. Rev. M.P. Pearson became Zion Canaan's fourth pastor until his sudden passing in 1949, at which time the Assistant Pastor, Rev. C.J. Jackson, stepped in as interim pastor until 1951. Under Rev. Jackson's leadership, the church's Sunday School and youth involvement were emphasized. He used his Godly wisdom to lead Zion Canaan to establish spiritual goals for the church's growth. A.P. McNeil became our fifth pastor (1951-53), during which time the Pearson Memorial Educational Building was erected in honor of the late Rev. M.P. Pearson (1952). Under the spirit-filled leadership and guidance of our sixth pastor, Rev. M.C. Fennell, Zion Canaan grew spiritually and in membership. In his 37 years tenure, there were several structural renovations to the church and the educational buildings starting in 1970 and being completed by 1980. In 1991, the Lord brought our seventh and current pastor, Rev. Bobby L. Smith, Sr. to Zion Canaan. So far under his leadership, the sanctuary has undergone complete renovation and a new educational building was erected. The church became both incorporated and a non-profit organization. Most importantly, Rev. Smith preaches and teaches the Word of God. In his first few years at Zion Canaan, Pastor Smith effectively taught the Word with clarity. As the congregation has grown spiritually and physically, he continues to feed us in his preaching and teaching. This new believers course and the Bible Study classes are results of his motivational leadership which has inspired members to want to learn more about God, His Word, and His Will.